Based on extensive research, The Mind of the Leader, concludes that organizations and leaders are not meeting employee’s basic human needs of finding meaning, purpose, connection and genuine happiness in their work. 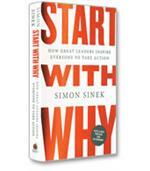 The authors offer a solution in which organizations need to put people at the center of their strategy. They need to develop managers and executives who lead with three core mental qualities: mindfulness, selflessness and compassion. There is a popular business axiom that if you take care of your people, they will take care of your customers, and the business will take care of itself. 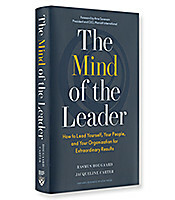 In their new book, The Mind of the Leader: How to Lead Yourself, Your People and Your Organization for Extraordinary Results, Rasmus Hougaard and Jacqueline Carter propose that the world of that axiom can be reached. Making that journey requires leaders to be mindful, selfless and compassionate - three adjectives that are not usually associated with leadership. If leaders truly are as out of touch with the harsh reality that such data describes, why, after spending $46 billion annually on leadership development, does the prospect of an engaged and fulfilled workforce still seem so unattainable? 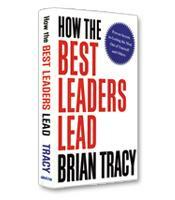 Leadership remains a human behavior in the face of increasing technology and unrealistic performance expectations. However, the mantra of “doing more with less” and leadership training that treats people management with the same objectivity as asset management have produced a world in which disengaged employees are overlooked as long as financial targets are being met. The authors argue that for this to change, leaders must be taught how to better understand themselves first, so that they can then better understand and support the people that are truly responsible for their success. The challenge lies in remaining focused on your commitment to that awareness in the face of endless distractions and a proven tendency to switch to autopilot for routine decisions. Leaders are expected to hit (and preferably exceed) performance targets if they wish to move up the ladder in the organization. 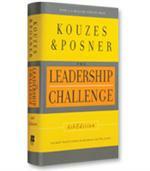 Hougaard and Carter argue that this constricts the growth of both the leaders and their people. By learning the wisdom of “getting out of your own way, the way of your people and the way of your organization,” leaders can keep their individual egos in check and develop the humility of servant leadership. This goes against the traditional combat model, where managers are distracted by the need to compete for fewer places in the next layer above them in the organizational pyramid. It also requires a less inflated sense of self-importance –– you will only be recognized as successful if your people have succeeded, too. The authors acknowledge that compassionate leadership is often dismissed as being “warm and fuzzy.” The expectation here, however, is that a compassionate leader is aware enough to notice if an employee has a problem and is committed to helping that employee with that problem. There is no expectation to take on the responsibility for fixing it - that would be empathy rather than compassion. In fact, supporting the employee through resolution of that problem might require some very hard decisions. The distinction lies in how you make those decisions. Rather than acting out of frustration because the employee is now on your radar as having an issue that is impacting performance, a compassionate leader’s first thought is to explore opportunities to help for the good of the employee and the organization. The Mind of the Leader underlines a crisis in traditional top-down leadership practices. Disengaged employees are a sign of poor leadership and a terrible waste of potential for any company. 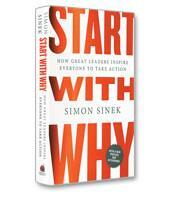 Hougaard and Carter offer a clear and direct path to becoming a truly engaged and productive organization.